Here we have collected photos and information from prior events, or at least events going back to 2005. Due to the ravages of time and sand, detailed records of ancient times (before 2005) have been lost. 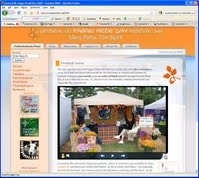 Pagan Pride Raleigh 2012 was our largest festivals yet! With nearly 3000 attendees we collected Food and Cash donations equaling 8,033 pounds for the Food Bank of Central and Eastern NC, enough to provide 6,764 meals to those who need them. The fine folks with the Wake County Animal Center raised $80 in cash donations, plus received numerous donations of cat and dog food, toys, containers, cleaning supplies, and most importantly found loving homes for 2 wonderful animals (1 cat and 1 puppy). On top of all of this, the Blood Donors at our event gave 31 units of blood to the American Red Cross of the Triangle, enough to save an estimated 93 lives. We even had the News and Observer stop by on Saturday! The 11th annual Central NC Pagan Pride Days Festival, was spectacular, with over 2100 attendees, 3,863 meals in food and cash for the Food Bank or Central and Eastern NC (that's 5,700 pounds worth of food), and collected 22 units of blood through the Rex Blood Bus. The 10th annual Central NC Pagan Pride Days Festival, was spectacular, with over 1900 attendees, 3,863 meals in food and cash for the Food Bank or Central and Eastern NC (that's 4,373 pounds worth of food), and collected 20 units of blood through the Rex Blood Bus. The 9th annual Central NC Pagan Pride Days Festival, our first 2 day event, was a fabulous success, with 1800 attendees, 2092 lbs of food and $550 cash donated for the Food Bank or Central and Eastern NC (that's 4099 meals), and collected 22 units of blood donated through the Rex Blood Bus. The 8th annual Central NC Pagan Pride Days Festival had over 1100 attendees, raised 1245 pounds of food and $115 for the Food Bank (that's 1537 meals). Also, for the very first time, we had a Blood Drive, collecting 30 units of blood for the Rex Blood Bank. Another first was a specific fundraiser for National Pagan Pride Day where we raised $300 through the sale of Pagan Pride bracelets. The 7th annual Central NC Pagan Pride Day Festival had over 900 attendees and 774 lbs of food donated for the Food Bank. We had more bands and other entertainment than we had ever had before, splitting acts up between powered bands on the main stage and acoustic music on the green. This was also the year we adopted the acorn and leaves logo for our event. The 6th annual Central NC Pagan Pride Day festival had over 600 attendees and 857 pounds of food donated for the Food Bank. 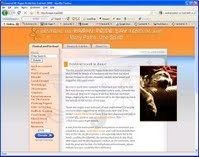 This was the year changed our main hosting domain to the shorter cncppd.org, adding alias domains like ncpaganpride.org, cncpaganpride.org and centralncpaganpride.org. The old longer domain name, centralncppd.org, also continues to work. The 4th annual Central NC Pagan Pride Day festival was held on September 18th, 2004. If anyone knows anything else about the 2004 event, like attendance or donations, please let us know. 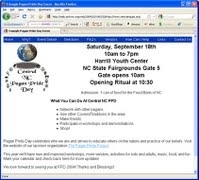 The 3rd annual Central NC Pagan Pride Day festival was held on September 13th, 2003. This is the year the event changed it's name from Triangle Pagan Pride Day to Central NC Pagan Pride Day. If anyone knows anything else about the 2003 event, like attendance or donations, please let us know. The 2nd annual Triangle Pagan Pride Day festival was held on September 14th, 2002. We collected 538 pounds of food to the Food Bank of NC today! The 1st ever Triangle Pagan Pride Day festival had 489 attendees, raised $439 dollars for the Red Cross and collected 594 pounds of food for the Food Bank of NC.